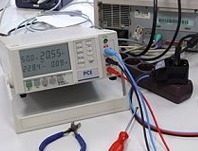 Here you will find voltmeters for measuring electrical magnitude in different fields of electronics. 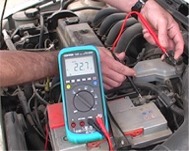 All voltmeters have a large, clear display and fit easily in the palm of the hand making them easy to handle. 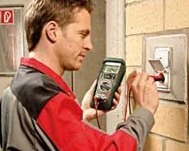 Voltmeters are used in professional training, in ed uc ation, the industrial sector and in workshops. They are invaluable to professionals due to their high level of accuracy. 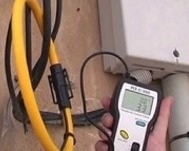 Here you will find all types of voltmeters for taking measurements of low and high voltages. We offer devices that have manual or automatic range selection and with or without an RS-232 interface for transferring data to a computer for further analysis. The corresponding test cables for voltmeters come with the device as well as batteries so that it is ready to use straight out the box. Voltmeters can be accompanied by an ISO calibration certificate either when it is ordered or included as part of an annual recalibration. This allows them to be integrated into the group of internal testing tools of a company. If you can't find the voltmeters you are looking for, please contact us and we will help you find the best solution to suit your needs by calling our offices on: UK customers +44(0) 23 809 870 30 / US customers (561) 320-9162 and our technical staff will advise you regarding our measuring instruments. 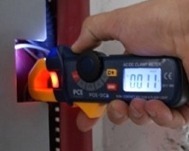 using the PCE-DC3 series voltmeters. 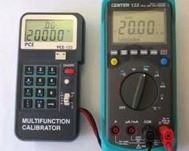 If you wish to view or print a selection of voltmeters from our catalogue, click the PDF symbol.